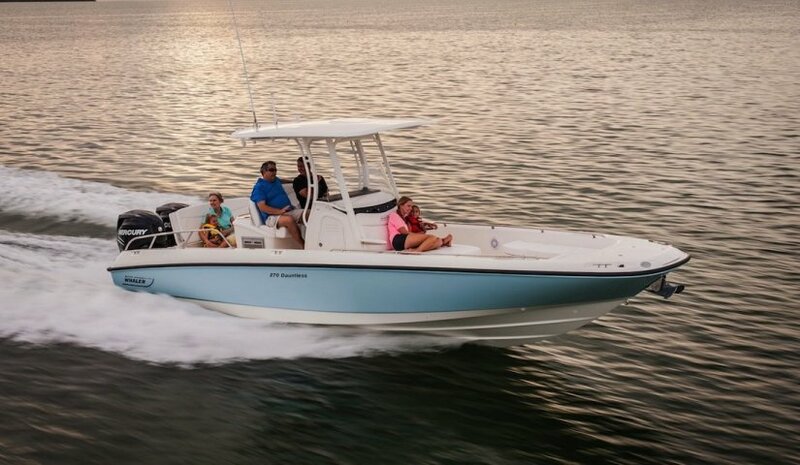 Take a complete 360 immersive walk through virtual tour of the Boston Whaler 270 Dauntless. The flagship of the versatile Dauntless family, the 270 Dauntless transitions seamlessly from a robust angler boat to a recreational cruiser at a moment's notice. Dedicated fishermen will thrill to the optional deluxe leaning post with livewell, rod holders, sink and cooler.